Your teeth are actually composed of three distinct layers. The outermost is, of course, the enamel, and below that is a hard, yellow substance called dentin. 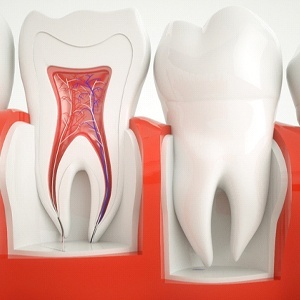 Within that lies the dental pulp, which is made up of various blood vessels, connective tissues, as well as the sensitive nerve of the tooth. Should decay or an accident damage the pulp, it can cause quite a toothache—the kind that makes it hard to concentrate on just about anything else. Fortunately, Dr. Chandy can easily relieve this kind of pain and save a tooth using a root canal treatment. Thanks to her expertise and gentle touch, this often-feared procedure is now always the solution to dental pain, never the cause. Dr. Chandy will numb the area she intends to treat. She’ll create a small hole in the tooth to access the damaged tissue. She’ll remove the tissue, clean and disinfect the interior of the tooth, and fill it with a packing material. She’ll then top the tooth with a temporary restoration. 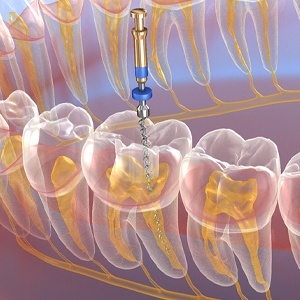 You’ll likely need to get a dental crown to fully rebuild the tooth. Afterward, your root canal treated tooth should look and function perfectly normal for many years to come. If you have a persistent toothache, a root canal could provide the relief you need, so contact us today.